I’ve been working hard on building my Instagram presence and engagement this year, as I started to see work coming my way from it. A side effect that I didn’t anticipate was that I would be invited to some very beautiful homes. I know creative people love Instagram, seeking inspiration there, showcasing their own work and socialising with like-minded people. Interior design has a massive presence and I guess it was inevitable that I would meet some stylists. Last week I was invited to Sarah’s home, having met her at an Instameet (I’m even picking up the lingo now) at the beginning of the Summer. Sarah is @relovedmcr on Instagram and she upcycles pieces of unloved, antique furniture by applying wallpaper decoupage. It’s on a very different level to the mirror my daughter and I glued pieces of wrapping paper to. 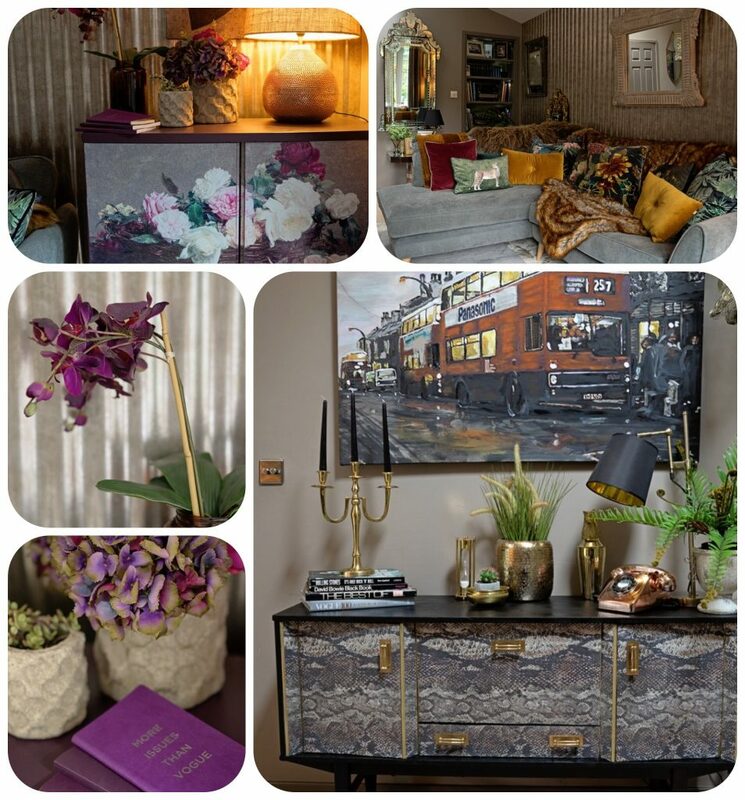 I am often told I’m ‘creative’ but I feel completely overwhelmed at the thought of styling a room, never mind a whole house! Our home décor is very safe with a heavy Ikea presence and dodgy B&Q light fixtures. 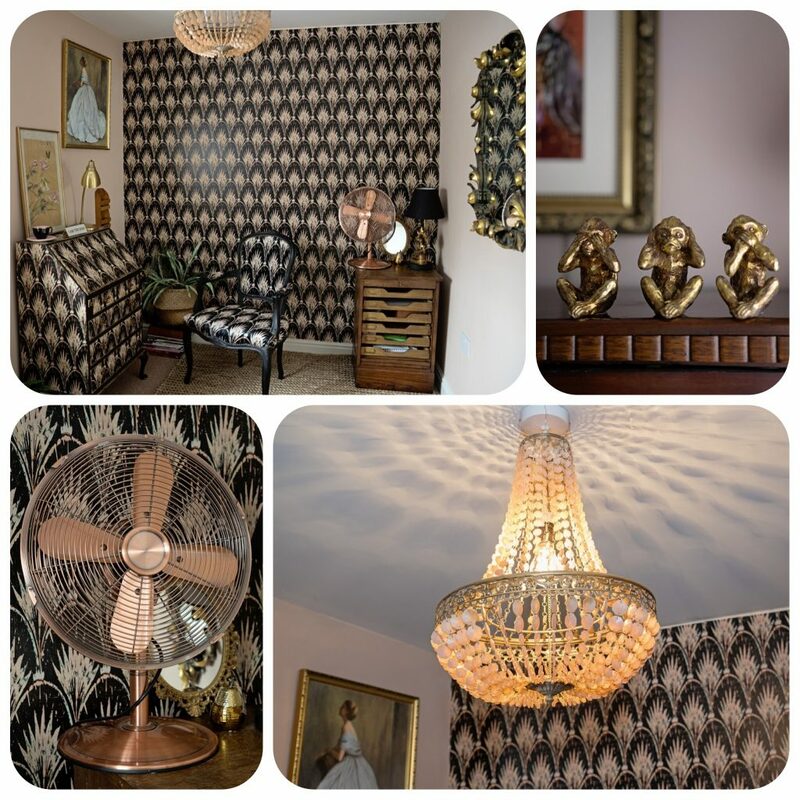 I am in awe of people like Sarah who has stamped her identity throughout her home. Her personality (bold, holds nothing back, speaks as she finds, quirky sense of humour and huge passion for life) is stamped throughout. Sarah has two teenage sons, one of whom has cerebral palsy and needs constant care. She made the decision to leave her career in PR when he was born, to be able to be there for him. This eventually led to her setting up her upcycling business, which she adores with a passion and has a real talent for. 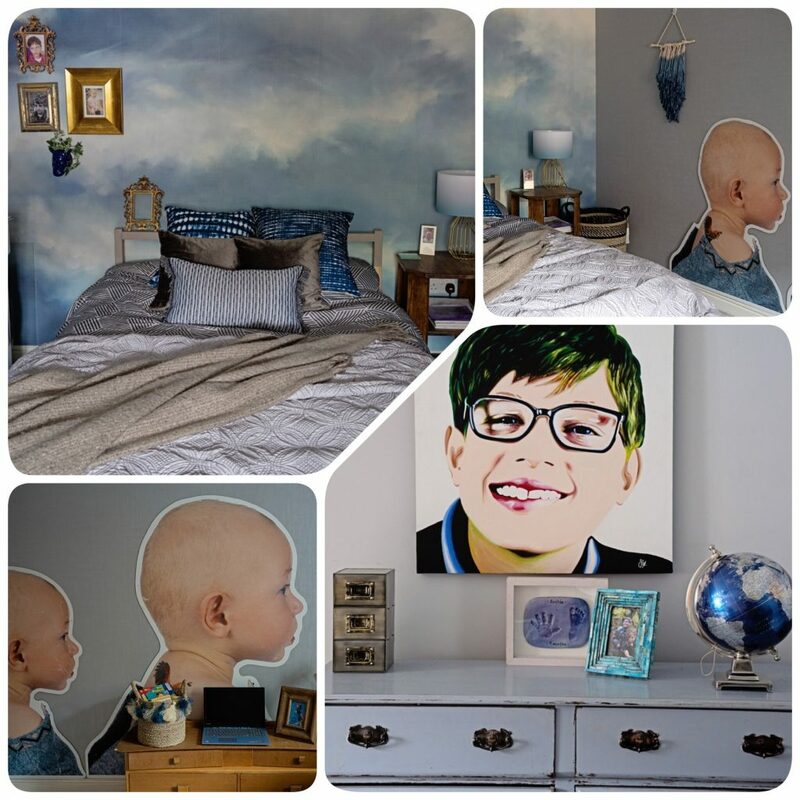 Archie’s room is typical of the rest of their home: a riot of well matched colours, curios, mismatched furniture, soft textures and striking artwork. The painting of Archie perfectly captures his playful personality. 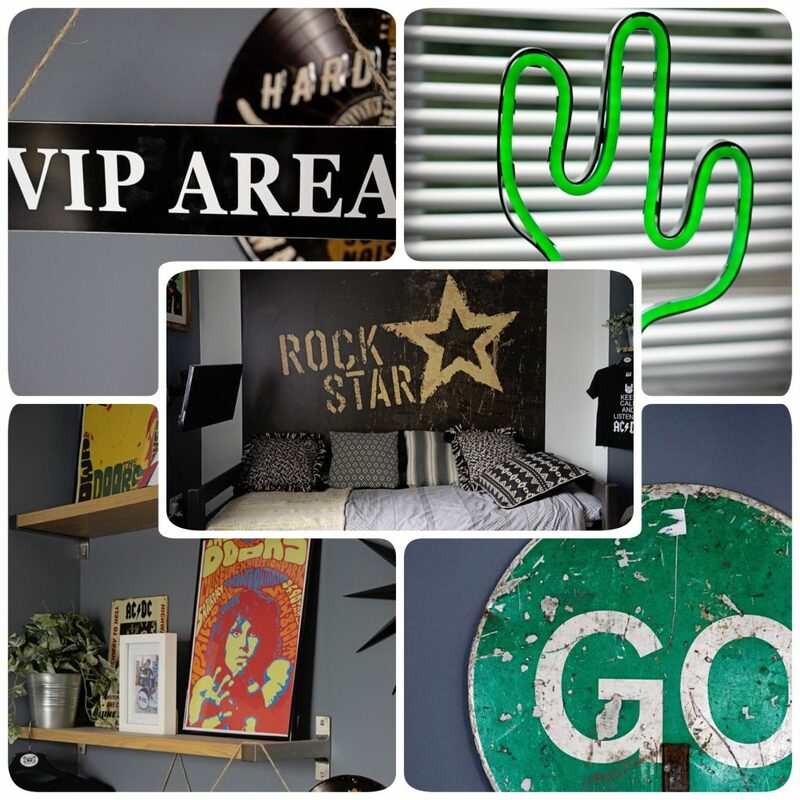 Younger brother George’s room manages to reflect his love of rock music and at the same time be a very stylish space, with Sarah’s stamp on it. My son now has grand plans for his room after seeing this photograph. I’m not sure Ikea will suffice. Nowhere is Sarah’s talent for furniture upcycling and interior design more evident than in her office. 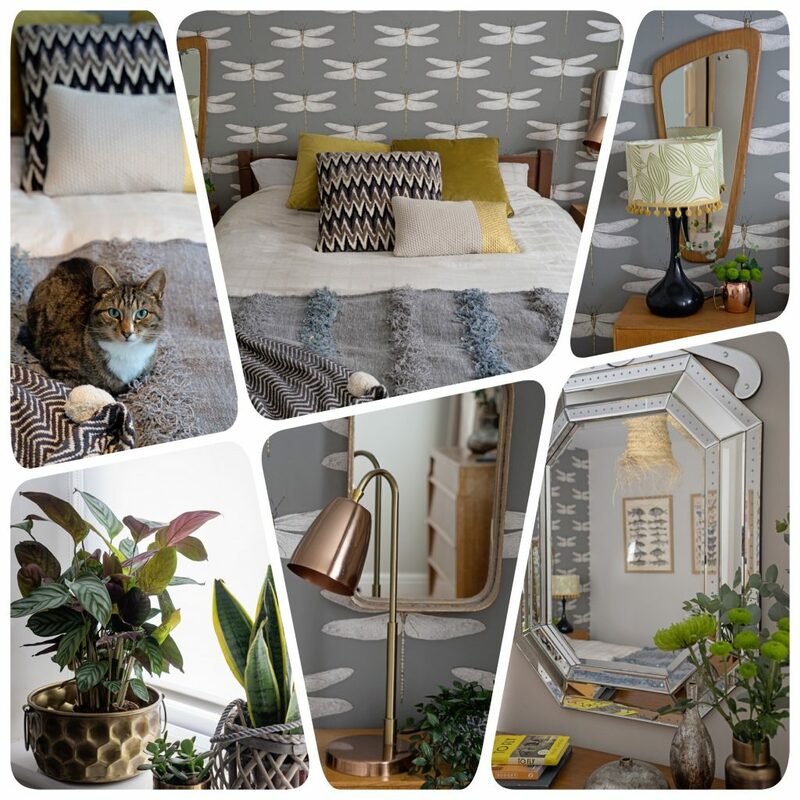 Stunning wallpaper is used to upcycle the writing desk into a unique piece of furniture. Read more about Sarah and RelovedMcr.